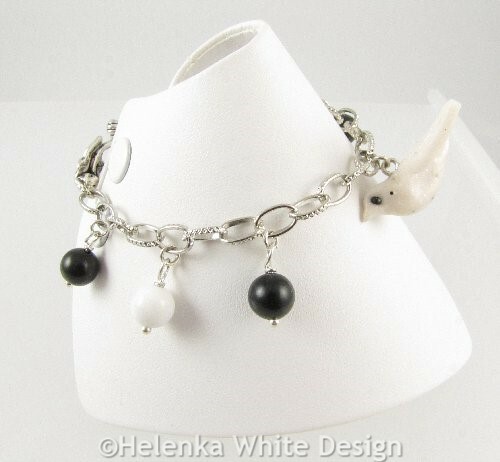 Doves are traditionally the symbol for peace and have often been depicted in religious art. 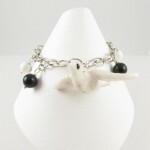 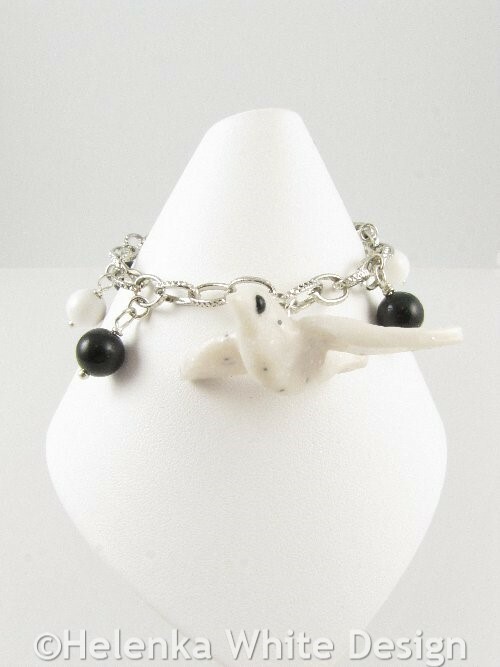 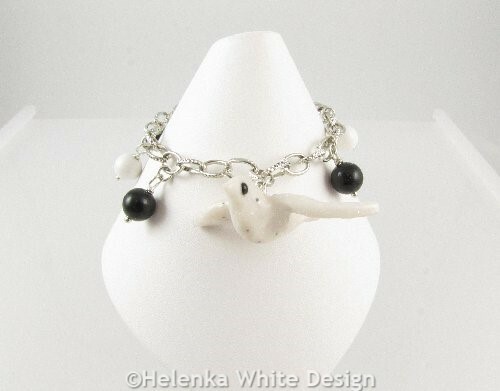 This one-of-a-kind dove bracelet is handcrafted with white Jade beads, black Obsidian beads and has a polymer clay dove charm in its centre. 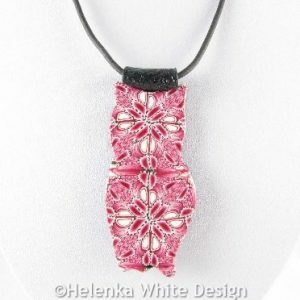 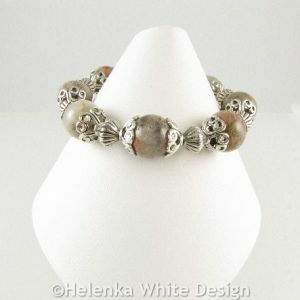 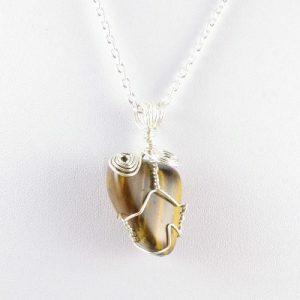 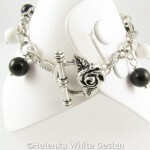 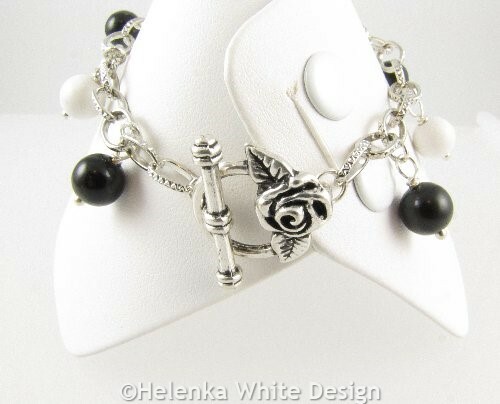 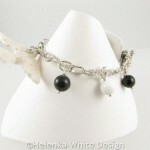 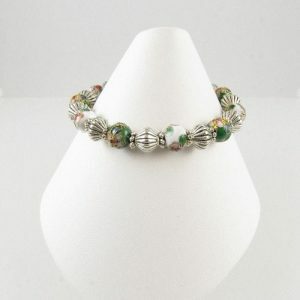 The bracelet closes with a pretty antiqued silver rose toggle clasp. 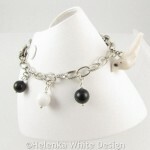 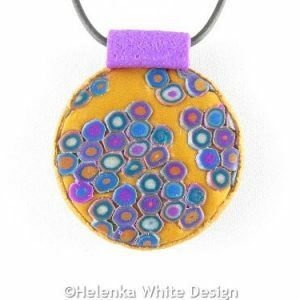 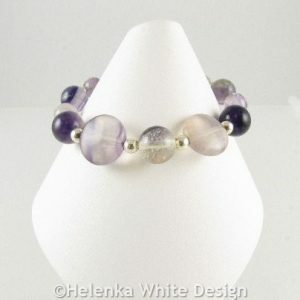 Length: The bracelet measures about 7,5inches (19cm).